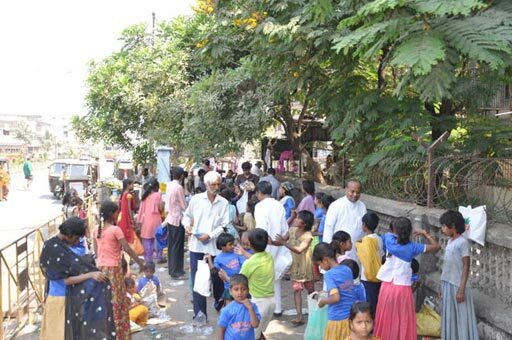 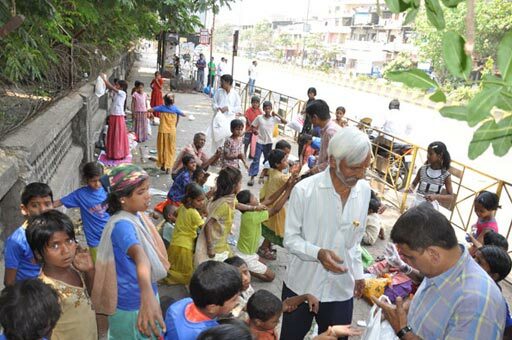 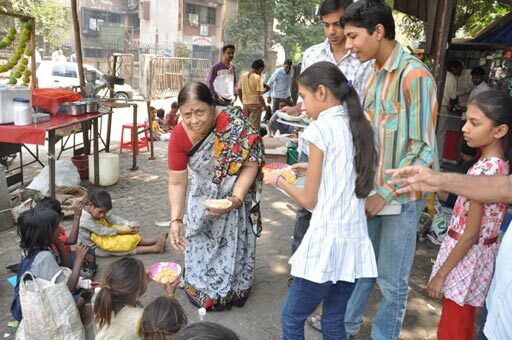 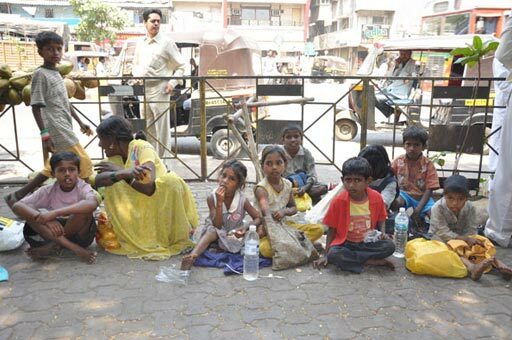 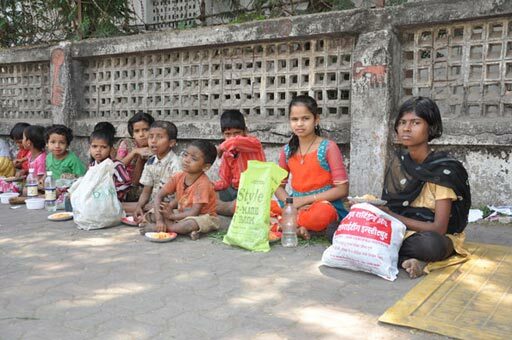 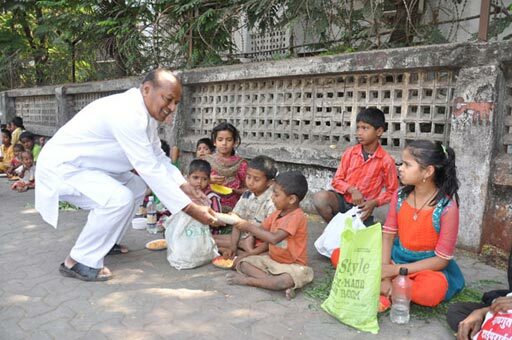 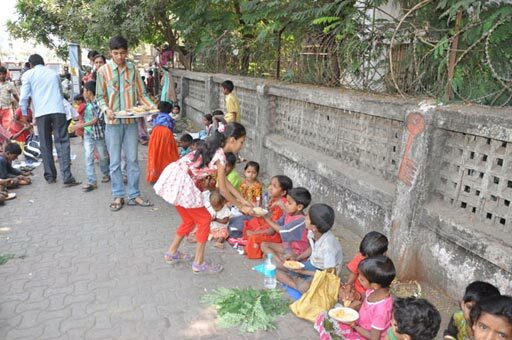 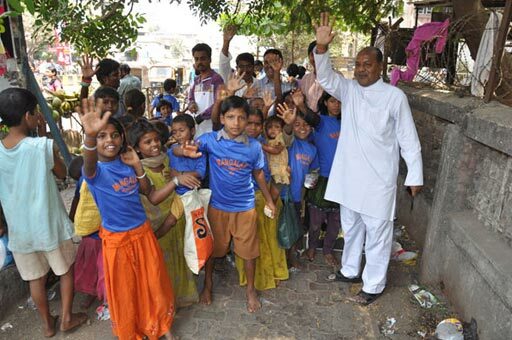 The Mangalam Charitable Foundation organizes a Food Distribution Programme for poor children in Navi Mumbai on selected Sundays. 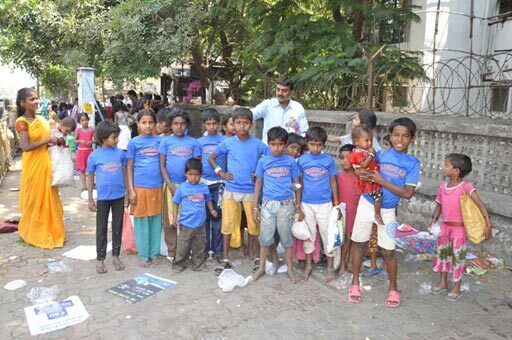 In these programmes scores of poor children are given food and refreshments along with a gift such as a T-shirt. 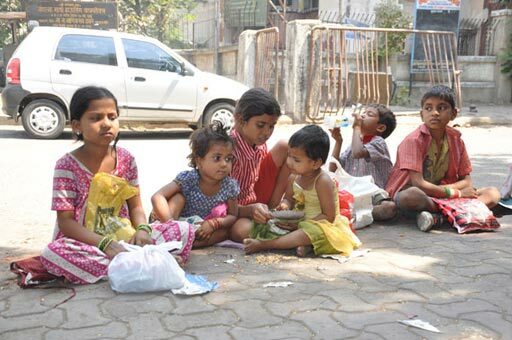 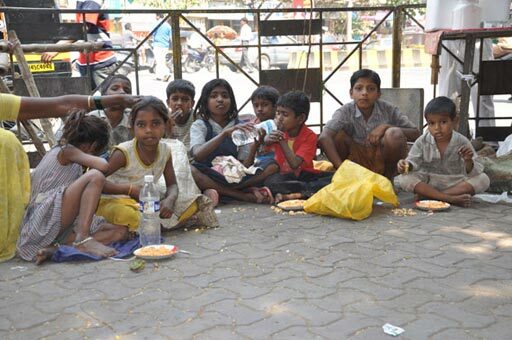 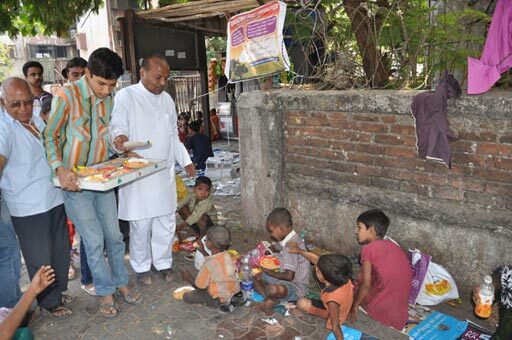 If you are having a special occasion such as a Birthday or Anniversary then make it even more special by sponsoring such a food distribution programme for poor children in Navi Mumbai. 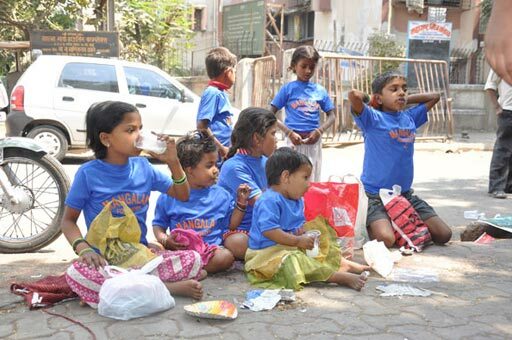 Just for a day you can make a difference in the lives of these children and show them that you care. 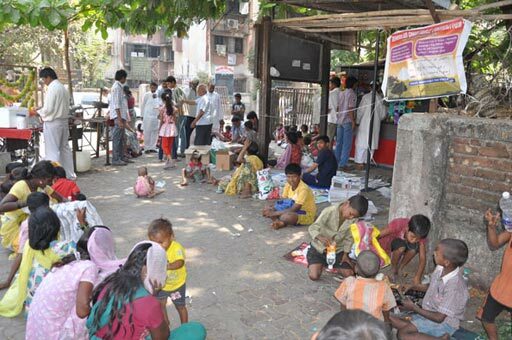 Programme is usually help from 11:00 am to 12:00 pm on Sundays at the entrance of M.G.Complex, Sector 14, vashi, Navi Mumbai. 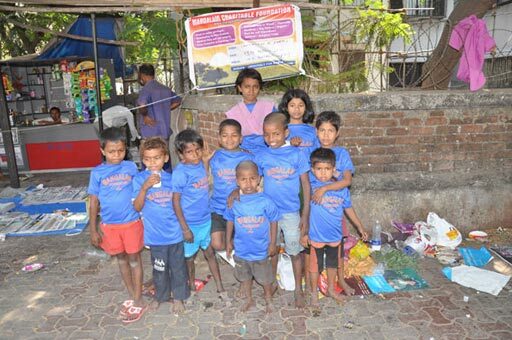 Please call us to confirm the date and schedule of the next event or to sponsor an event yourself. 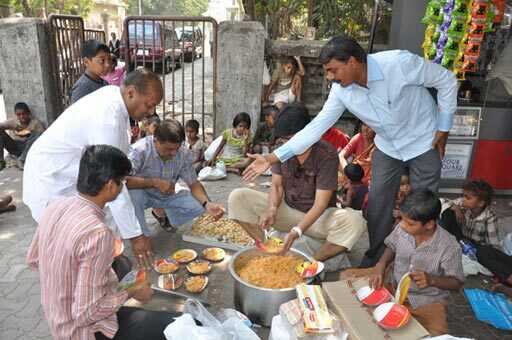 View below photos from one such programme held on a Sunday.